In Part 1 of the series, the Tactical Tailor Fight Light System was quickly tested and evaluated by one of our military special operations contributors (Boy Scout) who was quite pleased with the kit. Boy Scout rocked the kit on some mountain trail runs and a little simunitions training and found it to be superbly light and well made. After using the kit, Boy Scout sent it to Southern Arizona where it was put through the paces in a paramilitary law enforcement environment. The kit won the admiration of everyone that used it, and I wouldn’t be surprised if several find a permanent home in gear lockers. At first Glance, the Fight Light Plate Carrier appears much like any other kit. In Southern Arizona, law enforcement officers face a dizzying number of threats and frequently leave the comfort and security of a vehicle to trek alone into the unforgiving desert. Whether it be from smugglers, tweakers or fiercely anti-goverment hermits, the threat of being fired on by a cold hearted human with an AK-47 or AR-15 is very real and underscores the need to be prepared with the proper armor soulution. For years now, I have been rocking the Condor Quick Release Plate Carrier. The Condor is inexpensive, has tons of molle, and is capable of carrying both soft and plate armor. However, it is heavy and having both your plates and soft armor deployed in one package has its downsides. That is why I jumped at the chance to rock the Fight Light kit! Upon first glance, the Tactical Tailor Fight Light system looks like any other kit you would buy from a high end, US made, gear manufacturer. It is a single armor solution, meaning that it will only hold rifle plates, (size specific), it has adjustable shoulder straps as well as cummerbund and it’s covered in molle front and back. It’s not until you pick it up that you realize that something revolutionary has taken place and you will never look at plate carriers the same way. So what is the secret potion? What makes this kit so much better? And why should you shell out your hard earned cash on it? Well, the answer lies in weight saving and design. To begin with, Tactical Tailor utilized 500 weight denier Cordura material in place of the more common 1000 weight. Now while this drop in weight (Tactical Tailor claims 30%) is substantial and only time will tell if it will be durable in the long term. While the kit is still being evaluated overseas, we have yet to see the negative results of going with the lighter material. Tactical Tailor also made strategic reinforcements due to the use of the lighter Cordura and added a flame resistant lining so the kit would still meet the demanding standards of today’s battlefields. The shoulder straps are fully adjustable and have a sufficient amount of padding. The first thing I always look for in a plate carrier is the support and padding of the shoulder straps. When fatigue sets in it is usually my shoulders that start to scream first and that is one of the reasons that I loved the Condor Quick Release kit. The Tactical Tailor Fight Light kit doesn’t disappoint! When you combine the lightness of the kit, with well thought out, adjustable, shoulder straps you alleviate a lot of the potential for fatigue and I was quite happy with their performance. I also appreciated the elastic loops that for me, served as a mic attachment point. Note the elastic keeper covering the buckle. The inside lining of the shoulder straps are appropriately padded and feature moisture wicking mesh. Another nice feature is the elastic keeper that covers the low IR quick release buckles. The keeper doesn’t interfere with the buckle’s mechanics and actually makes them quieter. The foam padding provides air-flow between your body and the kit. There is a lot to like about the Tactical Tailor Fight Light Plate Carrier, but hands down my favorite feature is the molded, closed cell, foam padding that serves several purposes. First, the padding creates air channels that help the kit breath! I was amazed the first time I took the kit off after a long hike, and my shirt was not drenched in sweat as usual. Granted, any extreme activity will cause you to sweat, but I found that the air channels allowed for greater wicking. Secondly, the padding is, well… padding! I cannot attest to it’s cushioning properties as, thankfully, I was not shot with the vest on; however, it makes sense that it would be an added bonus. The kit features an adjustable cummerbund with two removable side plate carriers. The removable side plate carriers feature three rows of molle webbing and a padded mesh interior. There is room for more than just plates in the removable side plate carriers. Moving on to the cummerbund. This kit does not feature wing pockets for inserting soft armor; however, it does feature a low profile cummerbund (you’re going to get tired of that word) that has removable side plate carriers. 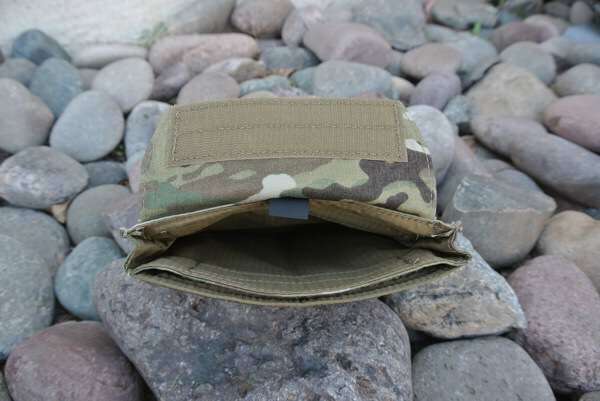 The removable side plate carriers are covered on the outside with three rows of molle webbing each and feature the same foam/mesh lining found on the shoulder straps. One of the great features that the carriers sport is that you can adjust them as high or low as your mission and gear dictate (or just remove them). I ran a TTH Tourniquet Holster from Eleven10gear.com as well as a Kydex GPS holster from Blade Tech. I choose to not run side plates so I immediately removed the side plate carriers and made use of the two rows of Velcro lined molle webbing on the base cummerbund. Removing the side plate carriers is as easy as everything else on the kit and took about 30 seconds using the built in quick release buckles on either side (more on those below). The inside of the base cummerbund is padded with a mesh liner and shows the detail and thought put into the kit. The base cummerbund also features quick size adjustments, but you will need to remove the kit to perform them. The kit was designed with flexibility in mind and the cummerbund is padded even when the SAPI pockets are removed. Simplicity at its best! Velcro doubles as webbing when not utilizing the side plate carriers. The cummerbund features heavy duty elastic that is protected by Muilticam material. The cummerbund (non removable) features Muilticam fabric covered elastic on both sites near the rear attachment point. The elastic is just right and isn’t stretchy to the point that the kit sags. Turning the rear part of the kit on end reveals the back plate pocket and removing the Velcro lined flap quickly reveals the cummerbund attachment point. Tactical Tailor did a phenomenal job creating a solid attachment point using their proprietary Malice Clips. The cummerbund attachment site is one of the Fight Light System’s key features that makes you stop and realize just why you should invest in solid US made kit. The cummerbund is attached via the ingenious use of Tactical Tailor Malice Clips. The cummerbund is attached to the front of the kit by two quick release buckles easily accessed under a Velcro cover. A clear view of the quick release buckles. 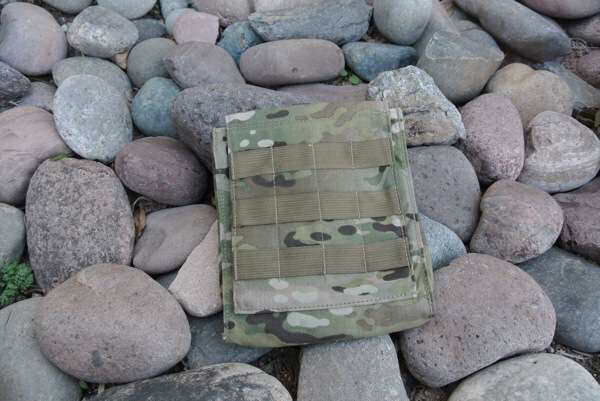 Unlike many kits on the market, the Tactical Tailor Fight Light Plate Carrier doesn’t require the user to lift up a flap on the front of the kit in order to connect the cummerbund. 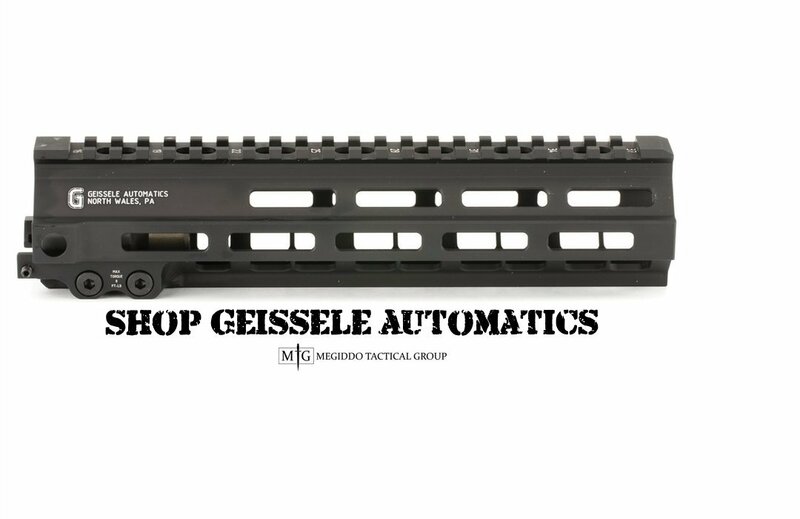 This is important because kits that feature a flap in the front will frequently make noise while running and cause the magazines etc, to slap the plates. I found that attaching the cummerbund was super easy and was performed by opening the Velcro flaps (with molle front and back) and attaching the snap buckle. The kit just worked and won the hearts of several law enforcement professionals who were lucky enough to field it. The kit features a small pocket in the front. The pocket is accessed from both sides and while not overly large, is a nice touch. The kit features a pocket on the top front section and opens on both ends. It is not overly large but none the less, convienent. I found the kit to be very user friendly! It was very stable while running and once I found the perfect adjustments, the kit stayed right where I wanted it. It was also comfortable while wearing my loaded Camelbak Talon pack and in general felt much lighter and less bulky than my Condor Quick Release Plate Carrier. The other issue that people do not mention very often is whether or not a kit is comfortable while driving in vehicles. The Fight Light Plate Carrier was super comfortable in comparison to my Condor kit and I might have let out a few choice words the first time I used the Condor kit after sending the Fight Light on its way. Like Boy Scout mentioned in Part 1, there is no quick release for marine operations which may be a deal breaker for some. Also, items like radios, magazine pouches etc. will need to be placed on the front of the kit as the cummerbund isn’t tall enough to provide a stable platform for them. I initially ran the radio pouch on the inside of the cummerbund and, while it worked, it doesn’t make much sense to have your lifeline less accessible than your GPS. All in all, the kit packs a ton of features into a very small and light package. If you are purchasing the Tactical Tailor Fight Light Plate Carrier for law enforcement use, bare in mind, that the Velcro panels on front and back are probably not going to be big enough to place all of your ID panels, so refer to your department/agency policy on the number, size and placement of ID panels. Sally’s Cop Shop is a great resource for purchasing custom sized panels. So, that is Part 2 of the series, we gave you a detailed look at the Tactical Tailor Fight Light Plate Carrier and as promised, there are tons of photos to give you the best possible view of the design and workmanship that goes into this quality piece of kit. Is it the best kit on the market? I don’t know; all I can say is that from a law enforcement point of view I really like it, and I’m probably going to order one for myself. I’m not going to lie, I really miss the kit and so do my shoulders! But, we are embarking on new territory here, and BlackSheepWarrior.com was founded with the principle goal of helping you make informed decisions regarding gear purchases. So, to fulfill our goal we have sent the kit on its way to continue its journey through the law enforcement and special operations communities. Check out Tactical Tailor’s website and Facebook Page. The Tactical Tailor Store has their very own Facebook Page as well. If all goes according to plan, there will be a Part 3 of the series. Stay tuned! You can follow Blacksheepwarrior.com on Twitter @Blacksheepwar. Don’t forget to like our Facebook page!